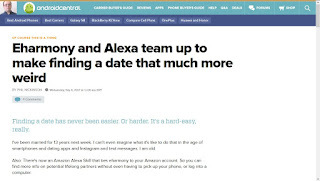 "Breaking the online dating sound barrier": eHarmony and Alexa team up to make finding a date that much more weird ??? 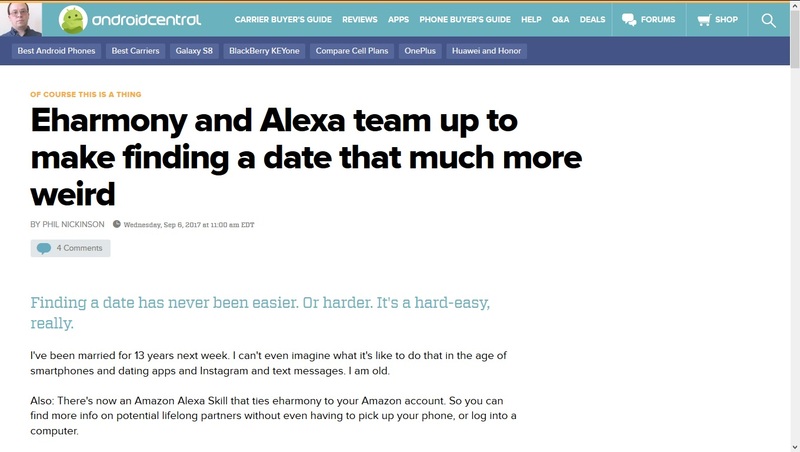 eHarmony and Alexa team up to make finding a date that much more weird ??? Please DO NOT mistake "artificial intelligence" with a proposal like a Personality Based Recommender System. 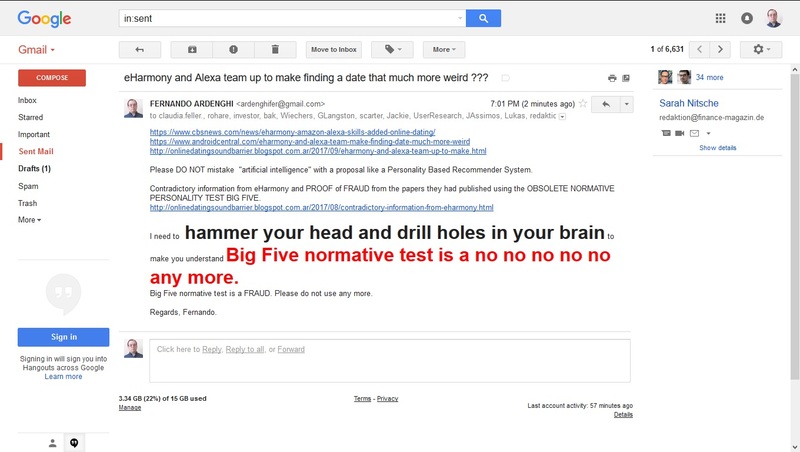 Contradictory information from eHarmony and PROOF of FRAUD from the papers they had published using the OBSOLETE NORMATIVE PERSONALITY TEST BIG FIVE. Proof eHarmony is intoxicated with "Big Data Analysis"
Another FRAUD from eHarmony "What are the odds of love? Rachel Riley reveals all"
eHarmony is a 17+ years old obsolete site. The success rate of eHarmony is less than 10%. 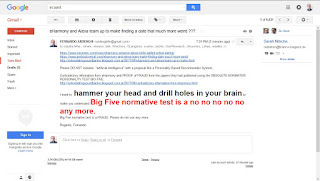 The Big Five normative test used by eHarmony and its copycats, had been proven/revealed as an incomplete and incorrect model to assess/measure personality of persons. 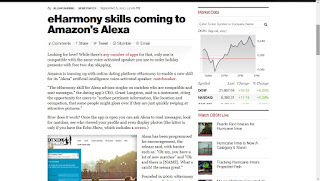 eHarmony is in big war with its copycat, EliteSingles since May 2012, after former eHarmony's CEO refused to fully acquire its mother company Affinitas GmbH. eHarmony CEO and article "The Online Dating Industry is Growing and Evolving"
LemonSwan in Germany and other countries.